Another week, another set of analyst predictions of how the Android operating system from Google is set to take over the world of smartphones. Last week it was IDC predicting Android would control nearly half of the market by 2015, but this week we have another group saying that will happen as early as next year. According to the predictions released by Gartner, the smartphone marketplace is about to change pretty rapidly. While Gartner provided far more analysis into what it feels will happen with the market than IDC did, there is still no idea of what methodology was used to arrive at these numbers. Are the numbers just pulled out of thin air based upon predictions of where the market will go, or are they based on some sort of formula? While it is certainly understandable that a company wouldn’t want to release the exact details of a proprietary formula, at least let us know it exists. What did leap out at me this time, however, was, where is webOS in all of this? Is it just being lumped under the “Others” category because they feel it won’t be a big enough player? The HP operating system is mentioned as an example of an “open OS” (an operating system that offers a software development kit), but other than that it just isn’t mentioned. Do Gartner and IDC not want to take a risk on forecasting for it because they have no data, or do they consider it a non-player? Either way it would be nice to know, because if they simply didn’t forecast for it, then the other data is going to be off the mark. It’s always interesting to look at analysts numbers, but I always suggest you take them with a grain of salt. What do you think? 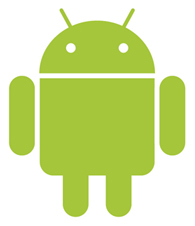 Could Android control half of the smartphone market by the end of next year?